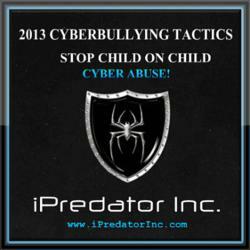 Cyberbullying Tactics 2013 Released for Download at No Cost by iPredator Inc.
NYS licensed psychologist and iPredator Inc. founder, Dr. Michael Nuccitelli, has released his 2013 Cyberbullying Tactics available for download at no cost. His list of 32 cyberbullying tactics covers the tactics & methods cyberbullies use in their endeavors to disparage and humiliate target children. Cyberbullying is an Information Age pediatric issue requiring immediate attention to stop the spread of children using ICT to harm one another. 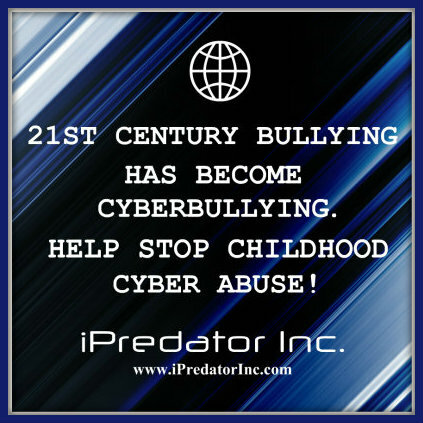 As Information and Communications Technology continues to become integral to society, the creativity of iPredators and cyberbullies match advancements in information technology. Internet safety & cyberbully prevention education is vital to children, parents & educators. NYS licensed psychologist and iPredator Inc. founder, Dr. Michael Nuccitelli, has released his 2013 Cyberbullying Tactics available for download at no cost. His list of 32 cyberbullying tactics covers the tactics & methods cyberbullies use in their endeavors to disparage and humiliate target children. Cyberbullying is a term used to define recurrent and sustained verbal and/or physical attacks by one or more children towards another child who is unable or unwilling to deescalate the engagement using Information and Communication Technology (ICT.) Like classic bullying, cyberbullying is harmful, repeated and hostile behavior intended to deprecate a targeted child. Cyberbullying describes threatening or disparaging communications delivered through ICT. Whereas classic bullying typically involves face-to-face interactions and non-digital forms of communication, cyberbullying consists of information exchanged via ICT and may never involve face-to-face encounters. Given the variety of methodologies cyberbullies use, which continues to expand, Dr. Nuccitelli outlines the most commonly used cyberbullying tactics used in 2013. Although most of the terms describing cyberbullying tactics are considered general knowledge by those who specialize in cyberbullying prevention & non-proprietary, many other terms describe the same type of behavior. The most important goal is to understand the theme of each term in relationship to the tactics & methods children use to harm & disparage other children. Furthermore, many of the tactics listed are also used by adult ICT users engaged in cyber harassment, cyberstalking and cybercrime. iPredator: A child, adult or group who, directly or indirectly, engages in exploitation, victimization, stalking, theft or disparagement of others using ICT. iPredators are driven by deviant fantasies, desires for power and control, retribution, religious fanaticism, political reprisal, psychiatric illness, perceptual distortions, peer acceptance or personal and financial gain. iPredators can be any age, either gender and not bound by economic status, race or national heritage. iPredator is a global term used to distinguish anyone who engages in criminal, deviant or abusive behaviors using ICT. Whether the offender is a cyberbully, cyberstalker, cyber harasser, cyber criminal, online sexual predator, internet troll or cyber terrorist, they fall within the scope of iPredator. iPredators rely on the multitude of benefits offered by ICT. These assistances include exchange of information over long distances, rapidity of information exchanged and the seemingly infinite access to data available. Malevolent in intent, iPredators rely on their capacity to deceive others in the abstract electronic universe known as cyberspace. To download a free copy, simply visit either iPredator Inc.’s forensics blog, Dark Psychology, or their internet safety blog, Dr. Internet Safety. Scroll to the bottom of the web page and click on the print/pdf button. 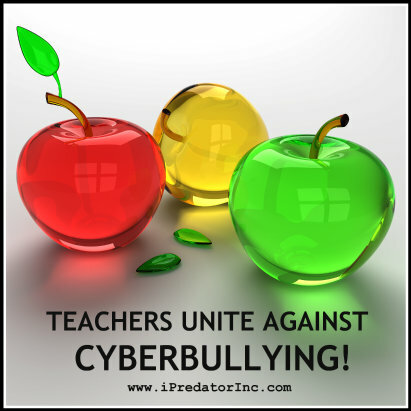 For direct connect to the page, click on this highlighted hyperlink: 2013 Cyberbullying Tactics. Visitors are not required to join or offer any personal information to download or print out Dr. Nuccitelli’s article. 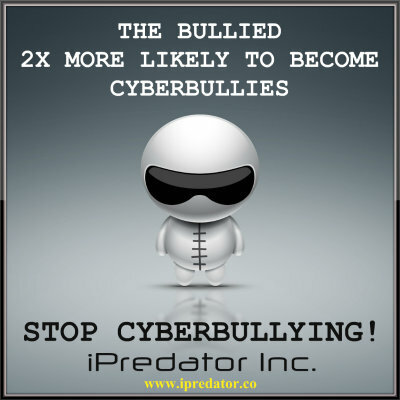 iPredator Inc. was founded in September 2011 to provide educational and advisory products & services to consumers and organizations on cyberbullying, cyberstalking, sexual predators, cybercrime, internet defamation, cyber terrorism and all forms of cyber abuse. Their goal is to reduce victimization, abuse, theft and disparagement from online assailants. 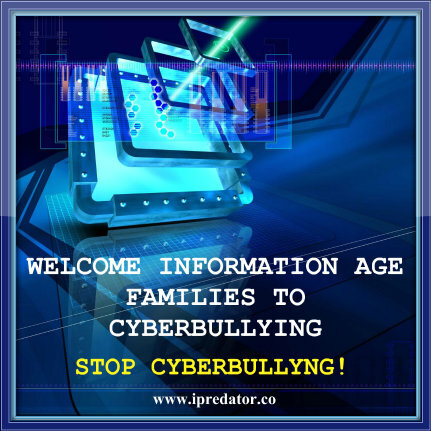 iPredator Inc.’s internet safety and technological predator awareness website is the first step to educate online users on the dangers on the internet. Dr. Nuccitelli has extensive media experience and truly enjoys educating the public on iPredator Awareness, Internet Safety, Internet Culture, Forensic Psychology & local/national criminal news. Corporate entities & investors interested in discussing a corporate partnership or a seed funding opportunity are requested to contact Dr. Nuccitelli directly.